Maureen H. Lavery | Littler Mendelson P.C. An attorney in Littler’s Knowledge Management department, Maureen H. Lavery creates and manages legal and electronic resources to provide innovative client services and facilitate compliance in all areas of labor and employment law. She is a contributor to Littler GPS®, for which she provides analysis of recently enacted statutes and regulations, monitors pending legislation, and manages 50-state surveys covering various employment law topics. 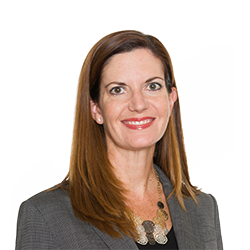 Prior to joining Littler Knowledge Management, Maureen was an associate in Littler's San Diego office, where she advised and represented employers in a broad range of employment law matters, including discrimination, harassment, and wage and hour cases. She also served as a judicial clerk to the Hon. William Q. Hayes and the Hon. Napoleon A. Jones, Jr. of the U.S. District Court for the Southern District of California. *Not licensed to practice law in Tennessee.